Beano Disco is a well-established company, providing DJ hire and disco hire services for all occasions. Our range of services include event DJ hire, corporate event DJ hire, mobile disco hire, DJ for charity events, and audio and visual equipment set-up. With various set-ups and lighting rigs, we can support venues of any size. We offer superb value for money whilst providing the best in lighting and sound. We serve both domestic and commercial customers in Helensburgh, Glasgow and the surrounding areas. You will also receive a free photo album of pictures from your function. Our team will always ensure your event is enjoyable and tailored to your individual needs. Keep an eye out for our promotional packages!! Beano Disco covers corporate events and private functions. We provide DJ hire services for all occasions such as weddings, anniversaries, birthday parties, theme nights, private functions, corporate events, kids' discos and Christening parties. If you're looking for a DJ for charity events, we are here for you. We also cover Lomond wedding services with a free Facebook photo album for all our events, subject to your approval. 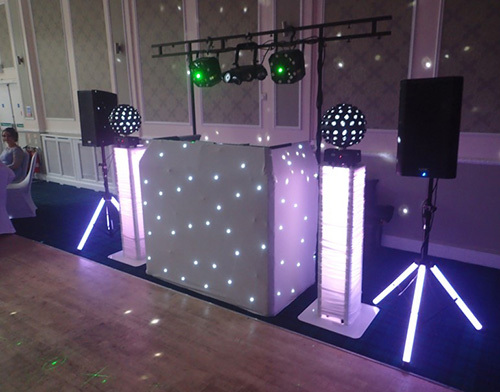 "Brilliant disco, rig was lovely, as it was a wedding we had...the white one. 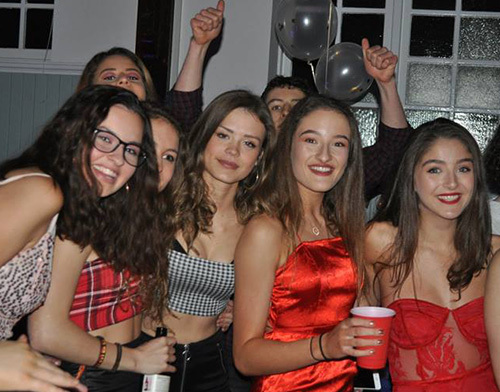 Turned up and set up in plenty of time, played everything we had asked for and more, very friendly and outgoing guy Andrew, would highly recommend him and would definitely book him again in the future, made our night perfect"
"16th Birthday Party - I would definitely recommend Andy to anyone looking for a professional and reasonably priced disco. This booking was for my twins 16th birthday party and they had a great time! Andy checked what music they enjoyed beforehand so that all tastes were covered, and he was on site setting up well before the start which meant the music was already going before the first guests arrived. As the floor filled up he kept them dancing and the Facebook album is a nice extra which the kids are already sharing with their guests. If you're having a party, this is the DJ you want!" "90th birthday party: Would 100% recommend Andrew. His music and lighting set up was excellent. Played music to suit all ages as I asked and also not too loud as I asked. He took lots of photographs throughout the night also. I feel Beano-disco would be suitable for any event as he will cater to your personal requirements. He helped make my mums party extra special. People at the party were commenting on how good he was. If you are looking for a good all round dj you can't go wrong with choosing Beano-disco. We had a great night. If you are reading this, Thanks Andrew"
"We had beano disco to provide the music for my surprise 40th birthday party and we definitely chose right. It was an 80s theme party and the music was amazing, catered for a few random requests and kept everyone happy and dancing all night. Would highly recommend them for any occasion"
"We had Marc from Beano Discos do the music for my daughter's 18th party. He arrived in good time and set up an amazing rig for music, lights and dry ice. Everyone loved the music as evidenced by the packed dance floor and singing along to the music. He was very good humoured about being constantly asked for requests and he seemed to 'read' the audience well. Track mixing was seamless and he had the right music to keep everyone happy. Lots of people came up to say how much they enjoyed the music . I would happily recommend Marc and Beano Disco's. Many thanks - the party was fantastic!" 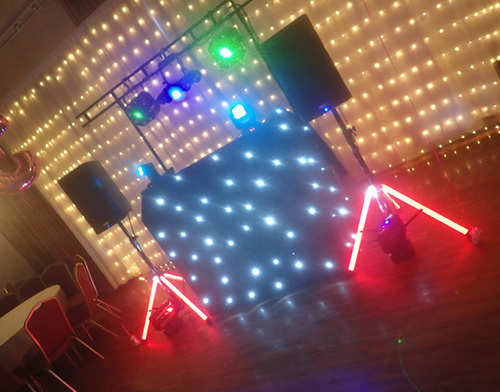 "Used Beano Disco for my 18th party, and the music and lights had everyone up and dancing. Definiety made the night very special, and would 100% recommend. Played songs that everyone knew n loved, and had many people said afterwards how great the DJ was. Thanks so much!" "Chris was our Dj on Saturday night for a surprise 70th birthday, fantastic service from the initial booking to the night itself. Don't hesitate to book they were fantastic." "A massive “Thank you!” for your services at our LineDancing event! Professional service, top notch set up fabulous current music, crowd favourites and requests, Andrew Broadbelt is a fabulous DJ making the night a brilliant fun time for everyone! Would use Beano Disco for any event and highly recommend him!!!! Local to Helensburgh so a great choice for any big birthday, private or corporate events!!!! FaceBook photo album a cool plus. 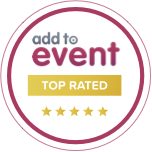 Great service, excellent value - relax and enjoy yourself at your event!!!" "Great reliable friendly service made sure party went smoothly kept kids entertained and took a lot of the stress away! Highly recommended!" "Nothing but praise for Beano Disco! Excellent communication throughout and Chris did everything to make a surprise party for my hubby go as smoothly as possible. Fab music, fab lights and loved the photos that were promptly put up as we had such a great night we didn't take any ourselves. Would highly recommend!"